NOTICE IS HEREBY GIVEN that the Board of Commissioners of the Greenlawn Water District will hold a public hearing at the Greenlawn Water District office, 45 Railroad Street, Greenlawn, NY, at 9:00 a.m. on Thursday, September 6, 2018. 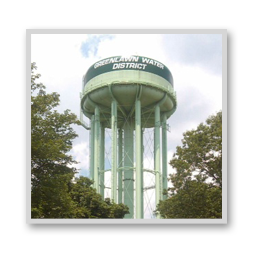 The purpose of the hearing is to consider the proposed budget of estimated expenses and revenues of the Greenlawn Water District for the calendar year commencing January 1, 2019. 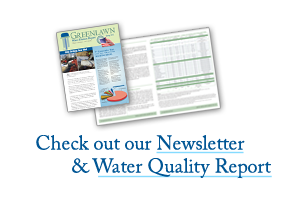 A copy of the proposed budget will be made available for public inspection commencing September 6, 2018 between the hours of 8:00 a.m. and 4:30 p.m. at the Greenlawn Water District office, 45 Railroad Street, Greenlawn, NY. All persons interested will be given an opportunity to present comments at said public hearing. A public meeting will also be held at the time and place noted above wherein the Board of Commissioners will conduct such regular and other business brought before the Board.